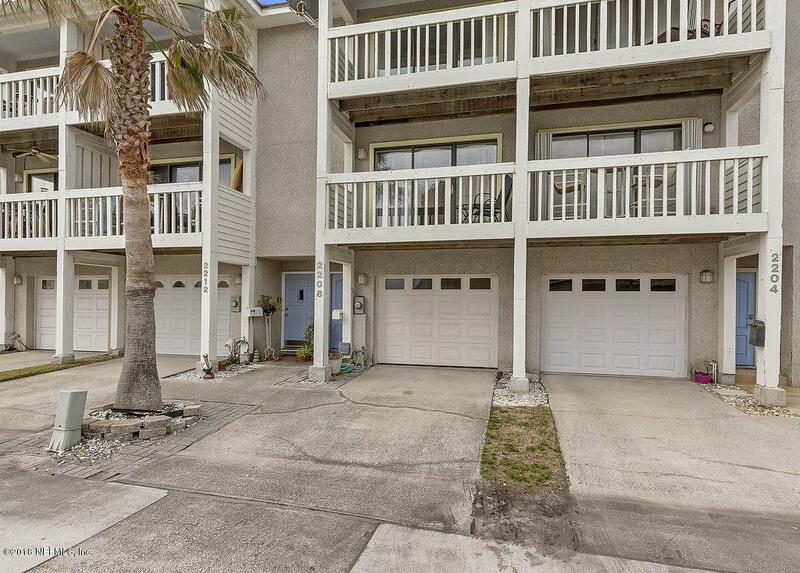 Tastefully furnished and decorated beachtownhome only steps away from the beach and sand. 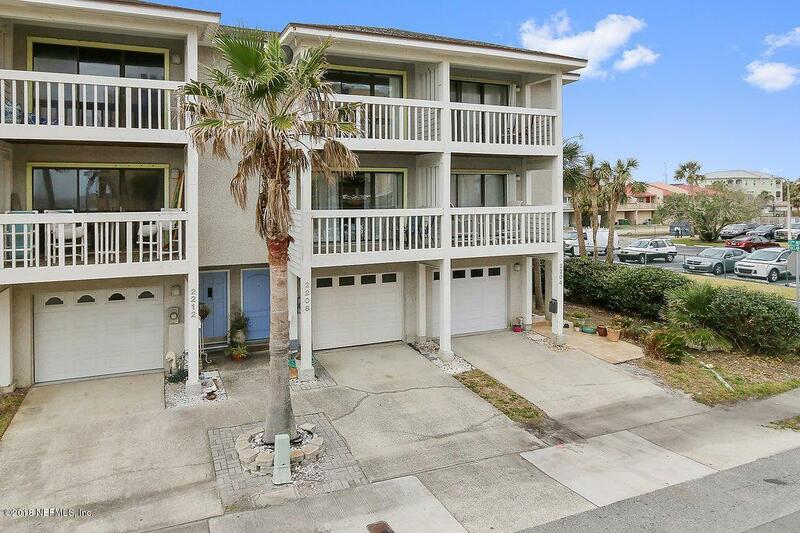 Amazing ocean views from the living room, second floor balcony, master bedroom and third floor balcony. 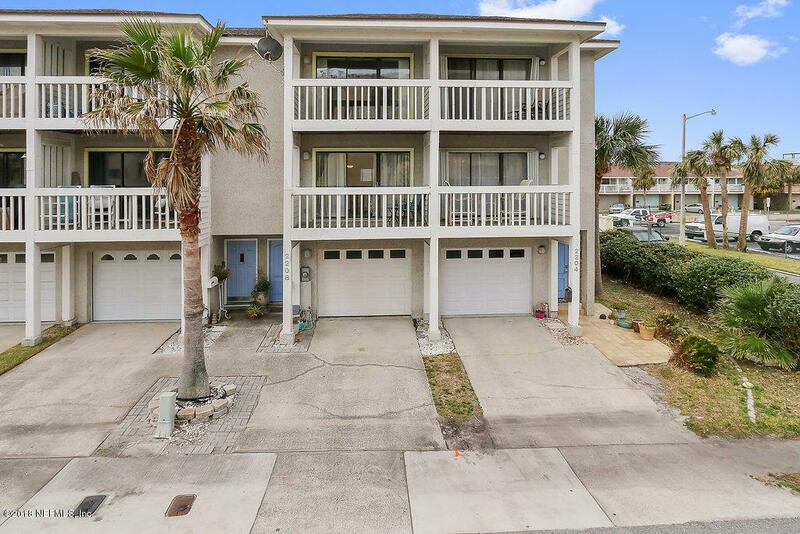 Located on a dead end street in South Jacksonville Beach. Perfect for romantic getaways or family beach vacations.First floor features include:a one car garage with direct home access, guest bedroom with two extra long twins that can be pushed together to make a king, LED TV, plush carpeting, and access to the rear garden / grassy area plus a private bathroom with a walk-inupdated tile shower. The main level features: a spacious living area with a large LED Smart TV, tile floors and modern updated comfortable furnishings, a private balcony with views of the Atlantic Oceanand a spacious kitchen with eat in breakfast area and laundry facilities. Full size washer and dryer are included. On the third floor is the master suite. The master bedroom features a king size bed with ocean view, LED Smart TV, ceiling fan, plush carpeting and a private balcony with amazing Atlantic Ocean views. The master bath has a large walk in updated tile shower with his and hers shower heads, a heart shaped Jacuzzi tub, his and hers vanity and a large walk in closet. Queen air mattress and bedding to sleep 6 comfortably. Cable and high speed internet with WIFI are included. 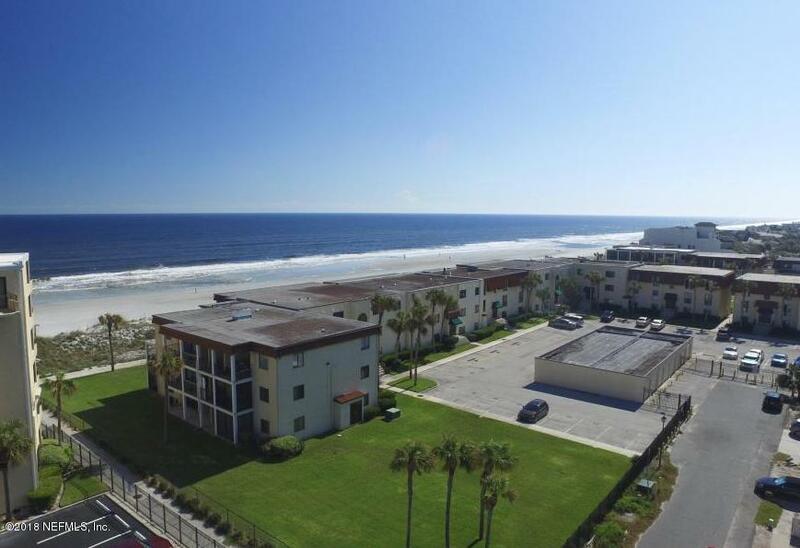 Located in South Jacksonville Beach minutes from restaurants, breweries, shopping and children's activities. Available as a furnished rental. Available daily, weekly and monthly. Pets will be considered and will require owner approval and a non refundable pet fee and a refundable pet deposit. Rates are subject to change for holidays and special events.